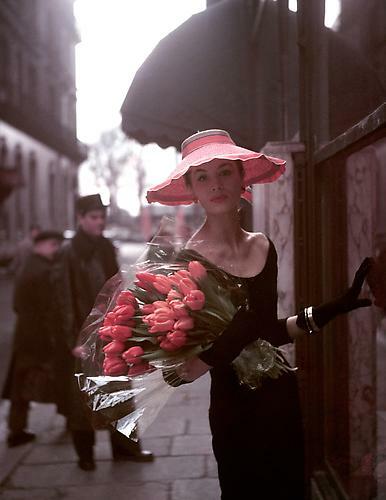 Peter Fetterman Gallery is pleased to announce its upcoming exhibitions: Georges Dambier (1925-2011), a solo exhibition of significant 1950’s fashion photography and Paris in the Springtime, a group exhibition featuring classic masterpieces of humanist photography. Both exhibitions open simultaneously with a reception on Saturday, March 23rd from 4-7pm and are on view through June 8, 2013. Georges Dambier (1925-2011) began his career in post-war Paris as a photojournalist with a background in graphic design and portraiture before he began photographing for fashion magazines in the 1940s. Although often overlooked in the history of fashion photography, Dambier was a contemporary of Irving Penn and Richard Avedon and became the key photographer for French Elle after receiving his first job from director Helene Lazzareff. The photographs on display, most of which have never been exhibited, are from a period of the 1950s at the height of his career photographing legendary models including Suzy Parker, Bettina, Barbara Mullen, Brigitte Bardot, Capucine and Sophie Litvak. The artist’s close friendship with many of his models produced uniquely humble fashion imagery showing chic feminine style at ease in everyday situations; the models are confident yet still delicate while in action on city sidewalks, beaches and in hotels. This is the first west coast exhibition of Dambier’s work and consists of over thirty prints that display his masterful use of lighting and focus to create arresting images of style and femininity. Paris in the Springtime exhibits photographs documenting daily life in the French capital during the mid-20th Century by legendary photographers of the era. As Peter’s favorite city, Paris has always been a consistent theme of the gallery’s collection specializing in French humanist photography. As a close friend and collaborator, legendary photographer Henri Cartier-Bresson was instrumental in introducing many of his contemporaries to the gallery including several of the exhibited artists such as Willy Ronis, Martine Franck, Edouard Boubat, Louis Stettner, Melvin Sokolsky and more. Iconic photographs and rare gems from thirty years of collecting fine classic photography display the essence of the City of Light through the eyes of some of its greatest historical spectators. Georges Dambier was 20 when the Second World War came to an end, a moment when the social scene in Paris suddenly took off. Nightlife, subdued during the Occupation, exploded. Le Bœuf sur le toit, Le Lido, la Rose Rouge, Le Lorientais, Le Tabou : he frequented cabarets and jazz clubs in Saint Germain des Prés, where famous artists and celebrities organised glittering parties and balls. One night, he managed to take pictures of Rita Hayworth who had come incognito to a famous night club, Le Jimmy’s. He sold the exclusive images to France Dimanche, a daily magazine recently created by Max Corre and Pierre Lazareff, and won himself a job on the magazine as a photo-reporter. In his new post, he was sent to all over the world to cover current events. However, with his predilection for graphic design and aesthetics, his liking for refined mise-en-scene, and at the urging of many friends, such as Capucine, Suzy Parker, Jacques Fath, Bettina, Brigitte Bardot, Jean Barthet, he was lead towards fashion photography. As Georges Dambier built and perfected his craft, he was hired by Helene Lazareff, director of ELLE, the fashion magazine. She encouraged him and gave him his first assignment as a fashion photographer. Georges Dambier did not conform to the standard technique of taking fashion pictures, with models standing emotionless and seemingly indifferent to the camera. Instead, he showed models smiling, laughing and often in action. His models were surrounded by local people in a market place in Marrakech, or in a village in Corsica, or – and above all – in his beloved Paris. Most of all, it was Georges Dambier’s ability to put his subjects at ease (many of them were friends) that helped him create true, intimate and lasting images. With his delicate style, and refined technique, his work revealed a reality of great elegance. As his career blossomed, he became widely known for his ability to capture the essence of feminine chic and glamour in his images. In 1954, Robert Capa asked him to lead a fashion department at the Magnum Photo Agency. Unfortunately, Capa died a few weeks later, while covering the Indochinese war. Meanwhile, Georges Dambier set up his own studio in Paris, Rue de la Bienfaisance. As a freelance photographer, he continued to contribute to ELLE and other magazines: Vogue, Le Jardin des Modes, Marie France…He also collaborated with Françoise Giroud and Christine Collanges at L’Express. Big advertising campaigns (Synergie, Havas, Publicis), and contracts for many brands such as L’Oréal, Carita, Jacques Dessange followed. In addition to his work in advertising, Georges Dambier did portraits for record covers and posters for his great friend, the producer Eddie Barclay and Jacques Canetti. As his reputation grew, so did opportunities to meet and photograph celebrities from different worlds. He captured the faces of the most notable artists of the 60’s: Sacha Distel, Zizi Jeanmaire, Dalida, Jeanne Moreau… His impressive client list included celebrities (Cerdan, Cocteau…), singers (Johnny Hallyday, Sylvie Vartan, Charles Aznavour…), actors (Alain Delon, Françoise Dorléac, Catherine Deneuve…) and many others. In 1964, Georges Dambier launched his own project: a magazine for young people, dedicated to culture and fashion: TWENTY. He hired young artists and photographers: Just Jaeckin, Jean Paul Goude, Philippe Labro, Copi, Bosc and many others who would later become famous in their own right. Twenty lasted two eventful years. In 1976, he created the magazine VSD with his old friend Maurice Siegel. 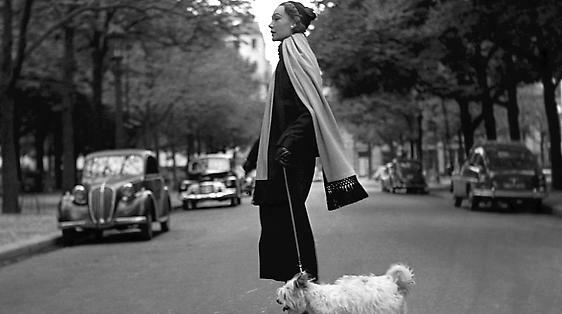 Georges Dambier led the artistic side of the magazine and headed the photographic section. VSD was an instant success. In the late eighties, Georges Dambier retired to a quieter life in the countryside. Peter Fetterman Gallery is located at BERGAMOT STATION . GALLERY A7 . 2525 MICHIGAN AVE . SANTA MONICA, CA 90404 .